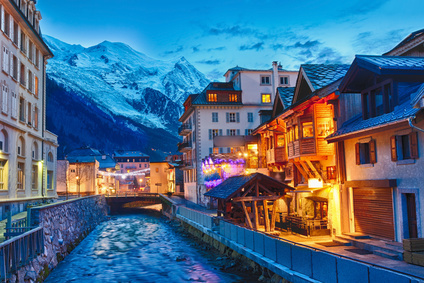 With your Sixt car hire in Ferney Voltaire you can really make the most of this pretty town that nestles between Lake Geneva and the Jura mountain range as well as the countryside of the Ain region in France. The city proudly takes its name from the author and philosopher Voltaire who lived there for the last twenty years of his life. When you collect your car rental in Ferney Voltaire from nearby Geneva Airport you have the freedom to enjoy Lake Geneva in the Summer and skiing and snowboarding in the Winter. Our Ferney Voltaire page has all the information you need about opening hours and rental vehicles while the grey right-hand tab on the page reveals a map showing our exact location. To get your holiday off to a stress-free start our Geneva Airport French Sector desk offers extended opening hours while a convenient 24-hour drop-off facility fits in with return flights. You can compare our range of car classes on our vehicle category list before making a reservation in Ferney Voltaire. Making your reservation is straightforward with our booking hotline or Sixt apps for iOS and Android devices. While we guarantee your chosen car hire category in Ferney Voltaire we cannot do the same for specific models. However, we do guarantee you a warm welcome from our friendly and knowledgeable staff whether you are visiting for a few hours, a weekend or longer. Whatever your budget or party size and whether you are travelling for leisure or business we have your perfect car rental in Ferney Voltaire. Choose from compact saloons and estate cars, ideal for family holidays or head to the ski resorts of the Jura in rugged 4x4s. When the sun is shining there is no better way of exploring the shores of Lake Geneva than in luxurious sports cars or convertibles. If you have mobility needs we also offer a range of adapted vehicles. All of our rental cars are supplied by trusted names like BMW, Audi, Porsche or Mercedes-Benz. When you hire a car in Ferney Voltaire select from our attractive range of optional extras designed to make your holiday driving go smoothly. Reach your destination without fuss with a Sat Nav while children travel safely in our baby and booster seats. 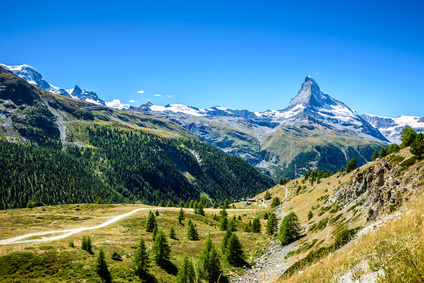 For ski resort holidays we have snow chains and ski racks. Get more out of your car rental with our great deals on additional drivers, extra insurance and unlimited mileage options. We are always happy to welcome younger drivers under 25. Ferney Voltaire rental cars are collected from our Geneva Airport French Sector desk which is clearly signposted on Level 1 of the arrivals hall. If you land in the Swiss sector simply follow the signs for Destination France. Once you have your vehicle it is just a short drive on the D1005 highway to the town. Ferney Voltaire is in the large Geneva metropolitan area but is legally located in France and is a small town that can be navigated without too much trouble. If you plan on travelling to Geneva or further into Switzerland you will need an electronic toll pass which our staff will advise you about. 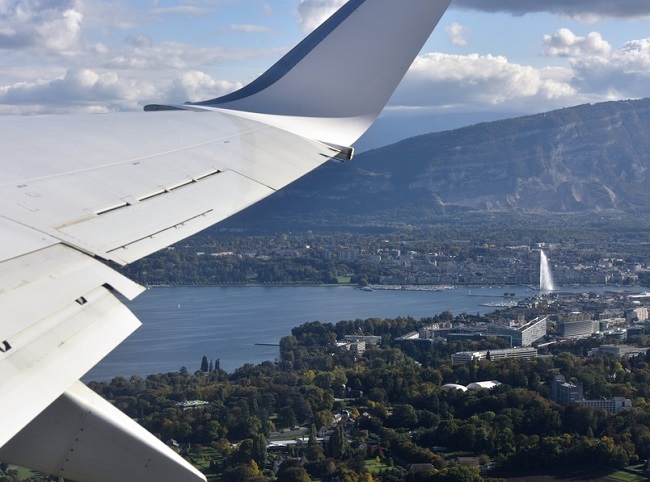 Approach roads to Geneva Airport can be a little confusing so we recommend you leave plenty of time for returning your rental vehicle and catching your flight. Free or reasonably priced parking is easy to find in Ferney Voltaire either on the street or in municipal or supermarket car parks. A drive around the market town of Ferney Voltaire reveals its pride in its most famous inhabitant as well as its attractive 18th-century architecture. The pretty Château de Voltaire where the philosopher-author lived is right in the heart of the town. After purchasing the property in 1758 he commissioned its rebuilding and was actively involved in the landscaping of its beautiful gardens. After spending some time exploring the château enjoy a pleasant few hours driving along the banks of Lake Geneva or into the foothills of the Jura mountain range. Ferney Voltaire is all about Voltaire, he even changed its name from Fernex to Ferney to make it more distinctive from other towns in the region with names ending in x. As you explore the town in your rental vehicle look out for his influence and his statue which the town commissioned to show its pride in him. Voltaire built a local church and school as well as over a hundred houses for the inhabitants. He was also the driving force behind local cottage industries, some of which are still going strong. The town produced some of the finest watchmakers and potters in France. Exhibitions in the Town Hall reveal the life and times of this philanthropic resident. Ferney Voltaire is the ideal base for visiting Geneva. Get lost in the streets of Geneva's Old Town, take a tour of the Cathédrale St-Pierre and admire, from a safe distance to avoid getting wet, the famous Jet d'Eau which spurts out of the lake. The medieval town of Annecy is sometimes called the Venice of Savoie. Its charming medieval town centre is dotted with small canals and streams while a picture book pretty castle overlooks the town. If you are using Ferney Voltaire as a base for Winter skiing in the Jura you will find plenty of ski slopes within easy reach such as Les Rousses, a small resort known for its friendly atmosphere. Before you leave, pay a visit to the Comté Cheese Factory based in the old fort. Many Ferney Voltaire residents commute to work in Geneva although the economy of the Ain region is one of the strongest in France. The town's setting near Lake Geneva and the Jura is a strong pull for tourists. As well as agriculture the area is home to plastics, metal and engineering industries. Although some hotels in Ferney Voltaire offer rooms for business meetings the nearest large convention centre is the CICG or Centre International de Conférences Genève. This modern purpose-built building can accommodate over 2,000 delegates.